Summer is here and it's time to dine al fresco! Our Gatekeepers have tallied the votes, and here are the local favorites for patio dining. 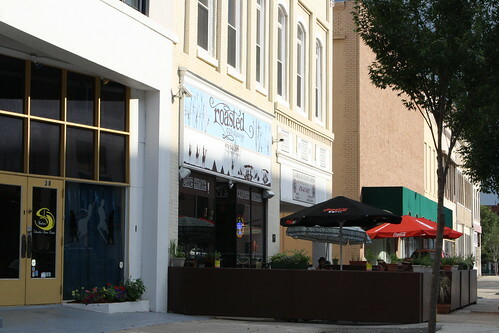 Check out our Top 5 Outdoor Dining, and let us know your favorite. Located on a choice piece of real estate along the shores of Lake Tobesofkee the Fish N’ Pig took full advantage of the scenic view by incorporating an expansive wrap-around outdoor porch allowing diners to enjoy the lake life while eating and drinking. With a menu featuring plenty of seafood and other meat options, Fish N’ Pig has something for your summertime appetite. Our favorite for a summer time meal is the Low Country Boil that comes with the option to include crab legs (when available). The restaurant is also now open on Sunday's until 8pm, and offers a special menu and live music. What feels more metropolitan than enjoying beers and appetizers (we recommend the spicy pimento dip or fried pickles) at a table on the street? Watch Macon slowly transition from late afternoon to early evening at the Rookery's signature blue tables. Unlike some establishments, the service outside is just as good as the service inside. Tables fill up fast on weekends, and because of the relaxing atmosphere, folks don’t tend to leave fast. Parish is a little slice of New Orleans in downtown Macon with a very welcoming patio area where you can relax and take in the ambiance of downtown living while enjoying great Cajun inspired food, desserts, Louisiana inspired cocktails and entertainment. Roasted Café, it’s not just for lunch anymore. Yes, that’s right, Roasted is now also open for dinner. If you want to tantalize your taste buds day or night with Mediterranean cuisine, Roasted Café and Lounge is the place for you. Diners can choose from a wide variety of authentic Mediterranean food with Egyptian inspired flavors. Imagine a restaurant that transports you to an open air café in the Middle East. Where soothing harp music, fresh breads, and luscious plants entice your senses. 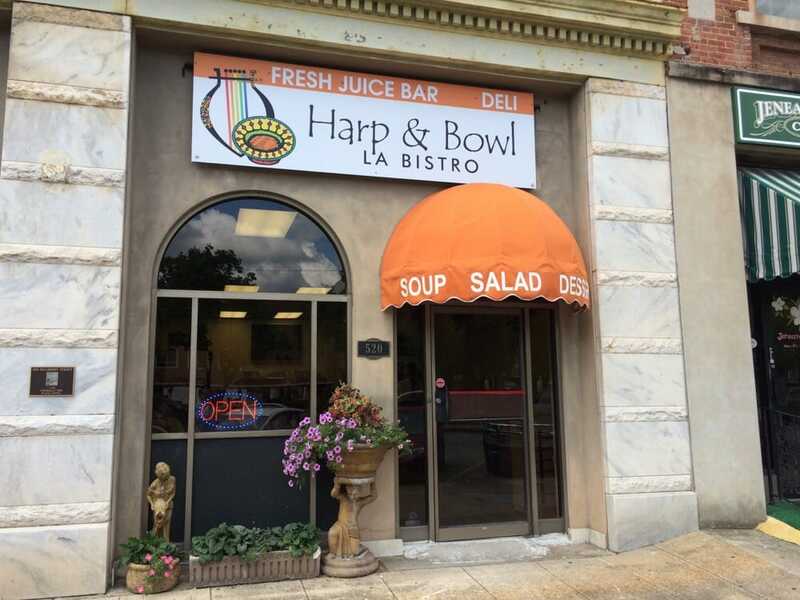 This is the concept behind Harp & Bowl. Body ecology is at the heart of what owner and chef, Charlotte Ethridge, wants to bring to downtown. Healing and organic smoothies and cuisine are the name of the game. Open M – Friday from 7 -2:30, come and sit a spell at Harp-n-Bowl. Check out this list of the Top Gas Station Dining and let us know your favorite.